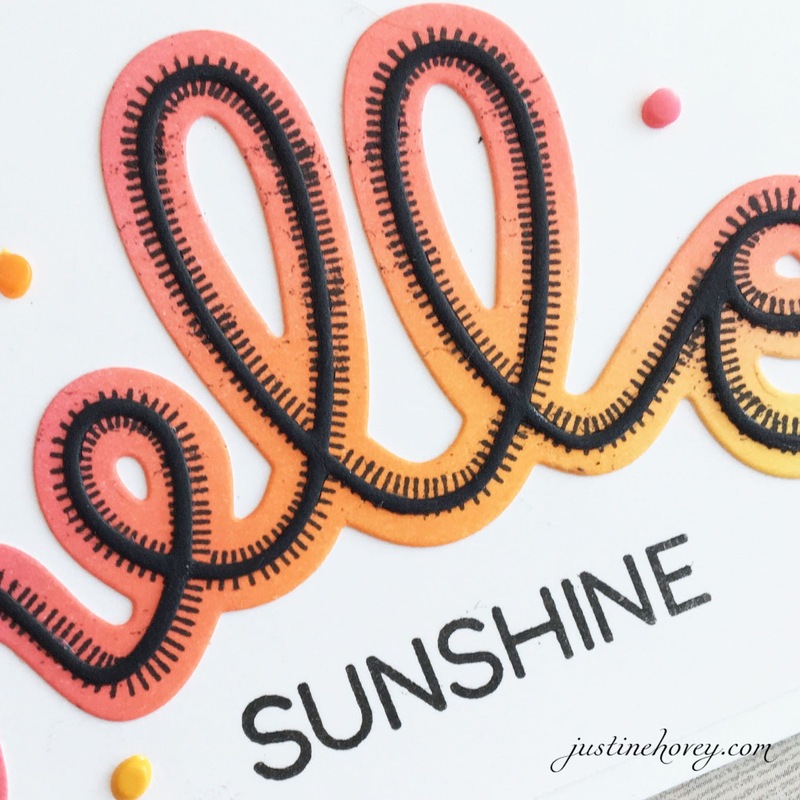 Justine's Cardmaking: Concord & 9th February Release Guest Designer! 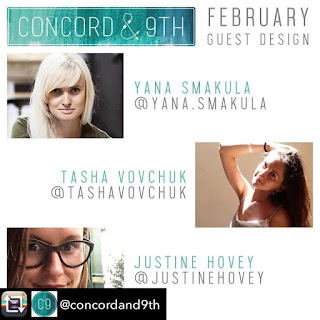 Concord & 9th February Release Guest Designer! I cannot even tell you how thrilled I am to be guest designing for Concord and 9th this month and helping create inspiration featuring their new February Release! I will be using the full release throughout different posts this month. The entire release is available for 10% if you buy the full collection or individually. Today I am using the Say Hello Bundle for today's card. 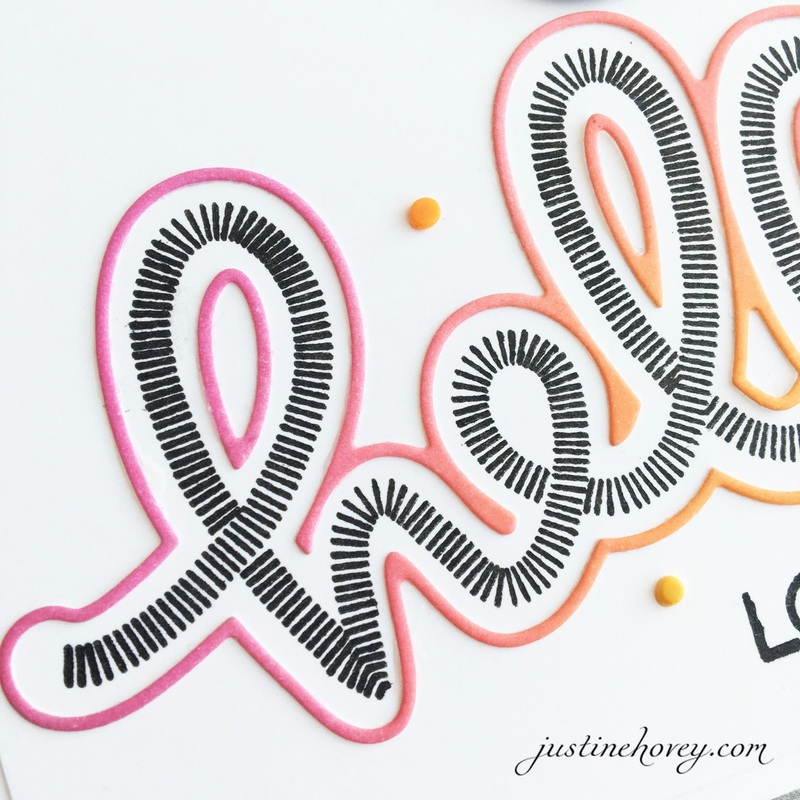 I show you how to make both cards using just one piece of inked up cardstock. The Say Hello Dies have so many possibilities since there are so many pieces cut from each of them. 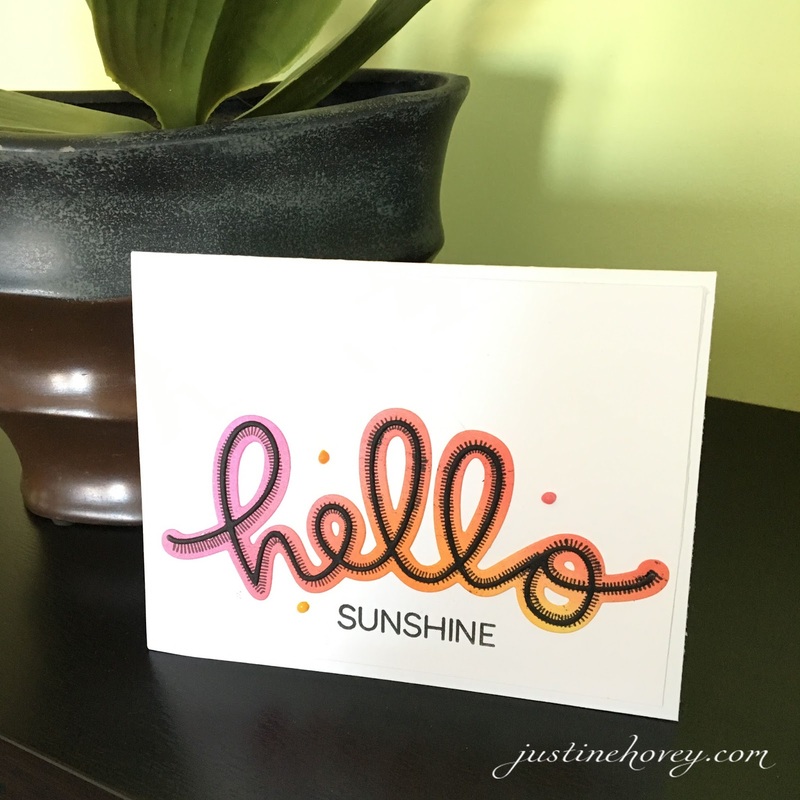 This first card, I die cut the hello shadow die out of coloured cardstock (that I inked up) and then I stamped the hello inside using the Say Hello Stamp. I then layered the cursive Say Hello Die on top in black cardstock. For this card, I used the frame of the Say Hello Dies and used it to frame the stamp in. I love the way both cards turned out. Quick, easy and simple! So thrilled that C9 is recognizing and showcasing your talents this month! And what a fabulous debut! 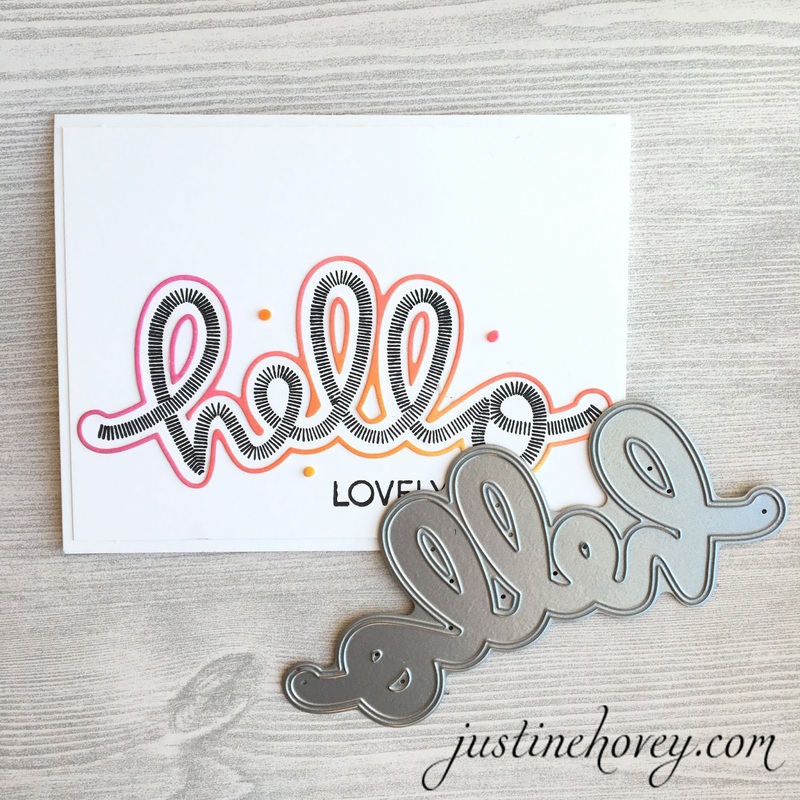 Your Hello cards are delightful; after seeing these, I've added this set to my *need* list. Your video: a treat, as always!